Every month we spend an evening scouring the pages of the latest issue of Previews and pick the ten titles we are looking forward to the most. This month it's the September issue which includes comics scheduled to ship in November 2015. James R: This is one of those titles that, as an old school fanboy, you just have to flag up and take a look at. I distinctly recall being sat in a DC panel at the late, lamented Bristol Comics Expo, and being shown the first images from The Dark Knight Strikes Again - back then, there was a genuine sense of excitement that Frank Miller was continuing the story of the aged Batman. It's fair to say that DK2 was a book that divided opinions - some people loved it, others found it indicative of a great talent in decline. 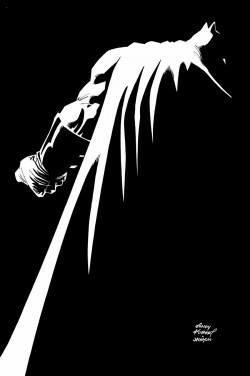 The announcement from DC that there would be a third chapter in the Dark Knight saga was a surprising one, as was the news that the series would be co-written by his close friend Brian Azzarello, and illustrated by Andy Kubert and Klaus Janson. I think it's questionable how much this will be Miiler wanting to return to his Batman mythos one more time, and how much it will be DC trading on the Dark Knight Returns name. They're certainly releasing it in formats that will test both the patience and wallets of fans, but the bottom line is this first issue will be a fascinating read, and a required purchase. Matt C: I could very easily have passed this by in Previews without batting an eyelid as a cursory glance might suggest it’s another formulaic tale featuring a group of baddasses waving guns around from a publisher you’ve never heard of. Fortunately the cursory glance was enough to spot the name ‘George Pelecanos’. For those it doesn’t ring a bell for, he’s an acclaimed crime novelist who moved into writing for television with The Wire, and has gone on to work on the likes of The Pacific and Treme. It’s one of those “What kind of magic can a talent like that bring to comics?” situations. It could be the kind of magic that only stretches to coming up with an initial plotline and not much else (we’ve certainly seen a few celebrity vanity projects over the last decade of so!) but I can’t ignore the possibility that it’ll feature some of the gritty realism of Pelacanos’ work in other mediums. Rob N: I'm a great fan of James Bond as he originally appears in the novels by Ian Fleming where, unlike the movie franchise, and indeed many of the pastiche novels by other writers, he is a deeply unpleasant, humourless, violent, and bigoted snob, incapable of sustaining a normal relationship with women, who survives on a cocktail of excessive alcohol and benzedrine to keep the nightmares away. It's a version of the character that the Daniel Craig movies touches upon, but generally speaking its too bleak a portrayal for many other writers to contend with. 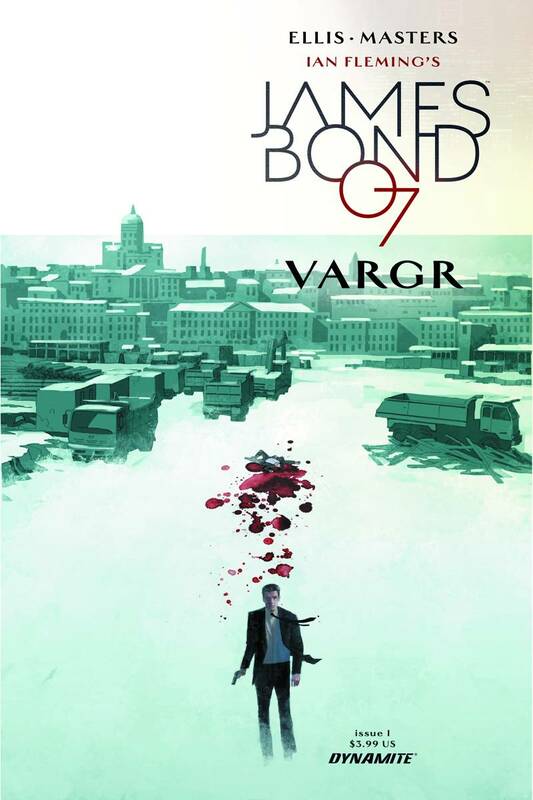 Warren Ellis apparently shares my preference as he has in the past come out with the admission that 007 is one of the very few non-creator owned properties he'd relish writing. Bond to him (and I share the view) is “a scarred man with clear psychological damage, often on the edge of being removed from service by M on mental health grounds”, with it “made stridently obvious that being on the 00 detail of the Secret Service is a job that fucks you up.” Coming out in the same year as the latest Bond novel, Trigger Mortis, which surprised me in how authentically it read like a late '50s Ian Fleming book, and the eagerly anticipated film, SPECTRE, 2015 promises to be a vintage year for the iconic secret agent in all his unpleasant glory. Stewart R: Well, if this isn't a premise for the 'now' of 2015, I don't know what is! A social media mogul pledges to split his huge fortune amongst 140 randomly selected people upon his death, or at least, as many of those 140 who are still alive at the time of his passing. From the blurb it appears that this may well be a global-focused affair with a cast ranging from "a young black man trying to get by in St. Louis" to an "Iranian reporter in need of hope" and with the variables of the mogul's immediate future and those of the 140 I'm expecting thrills, bloodshed and plenty of social commentary from this. Vertigo have seemed to slip slightly from their long-heralded, creator-owned, indie pillar of triumph in the wake of Image's big push and hopefully this sort of title will see them on the up once again. Kenny J: My first introduction to Amy Reeder and Brandon Montclare was on the stellar Rocket Girl at Image Comics and I’m glad to see them making the jump as a pair to Marvel to take up writing duties on Moon Girl And Devil Dinosaur, a title that is sure to be another hit in the vein as Ms. Marvel. 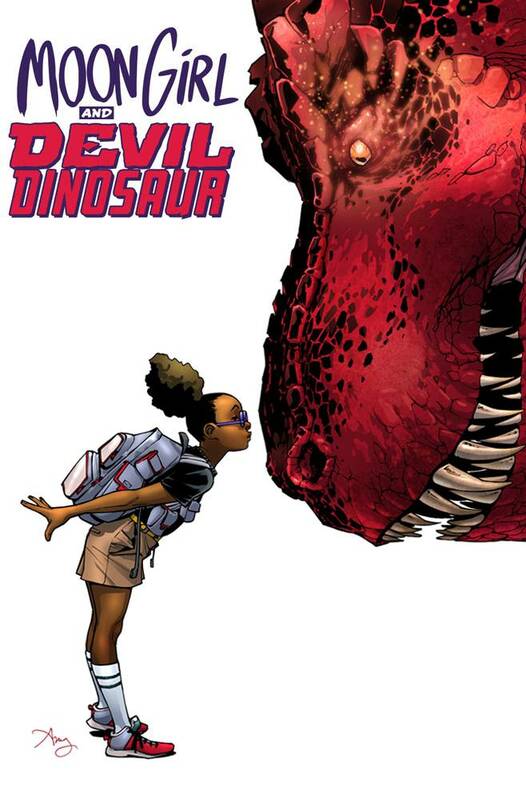 The titular Moon Girl is a young woman dealing with newly manifested Inhuman powers as well as a genius intellect and a huge red dinosaur transported from prehistory to the present day. Usually it would be Reeder taking up art duties but this time it falls to the more than capable Natacha Bustos to render the adventures of Lunella Lafayette and her reptilian friend in bright pop fashion. Just look at that logo for proof. Simon M: War! ..... What is it good for? Well, as it happens, some pretty good comic book stories (obviously not endorsing war in any way - it's bad!) and the writer that is really good at them is bringing us a new offering this November. Garth Ennis is far and away the best current scribe of military tales and if you have any interest in the genre, I would highly recommend perusing his back catalogue. This time round Ennis is resurrecting an old familiar face from Battle, a classic UK weekly war comic. Originally created by Tom Tully and Joe Colquhoun, Johnny "Red" Redburn is a former British fighter pilot that had an incident with his superior officer and was booted out of the Royal Air Force. Still wanting to do his duty against the Nazi war machine, he joined the Soviet "Falcons" fighter squadron. Not only does Johnny have to deal with the German Messerschmitts, he has to watch out for the NVKD (Soviet secret police). Burns currently collaborates with Ennis on Avatar's War Stories, so they are a known commodity. If this even remotely captures the feel from the original series then we are on to a winner. Matt C: This month I decided to be less predictable and not plump for the usual selection of Image first issues and look a bit further beyond my usual parameters. Well, that’s what I’m saying, but in all honesty my two picks for November basically sprang out from Previews (for different reasons) and clocking the publisher was a secondary consideration. 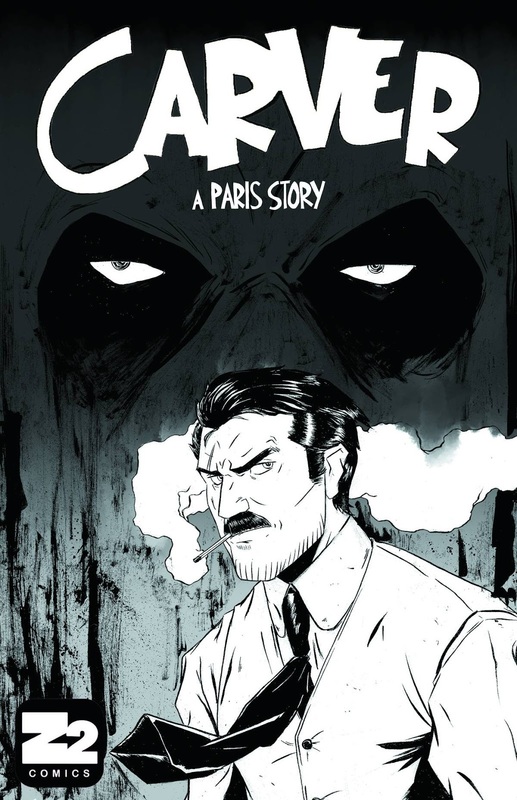 I zeroed in straight away to Carver: A Paris Story due to the mean looking cover art, and was immediately taken with the blurb detailing a story focusing on a “notorious gentleman of fortune” in Paris during the early 1920s. Seeing some of the art elsewhere online has sealed the deal, and the fact that Paul Pope is on hand to provide a back-up story certainly didn’t hurt this book’s prospects in securing a place on my pull-list. 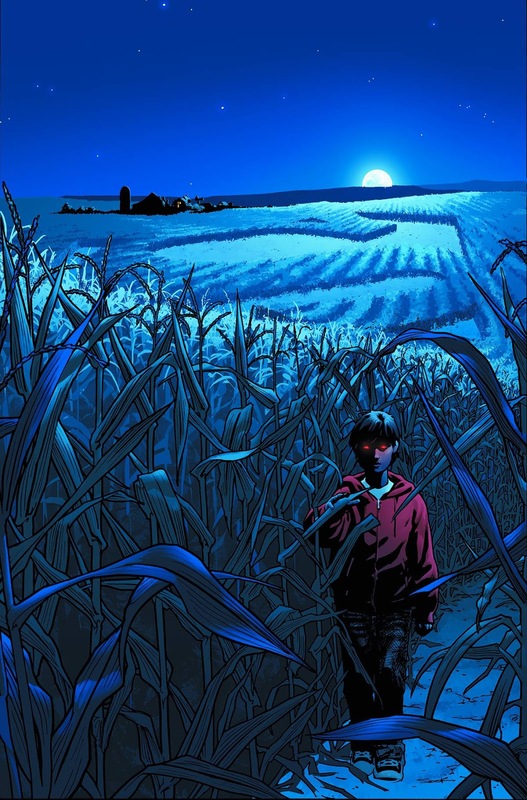 A rather intriguing concept this one, where Jason Aaron imagines what the world is like 1,655 years after the first human beings were evicted from Eden by a Hebrew tribal God who enjoyed planting fruit trees but didn't like people eating from them. Things haven't gone too well for Adam and Eve's descendants since then with 'wanton cruelty and wickedness' taking the place of blissful innocence in the land of milk and honey, which just goes to show that apple scrumping doesn't pay in the long run. Violent crime stories are ten a penny, so it’s good to see a writer who specialises in that kind of tale finding a new twist on things. Could this be the start of 'Biblical Noir' as a genre? James R: Well, it's nice to say that DC seem to really be getting their act together as regards to the Man of Steel. Following on from a successful change of direction in both Action Comics and Superman, the publisher now bring us this series from Max Landis. Landis isn't shy about coming forward with his opinions on Superman (he has recorded an impassioned critique of Superman's death in the Doomsday event that you can find on YouTube) and he has superhero form in writing the screenplay for Chronicle. This series focuses on seven stories from Superman's youth - as the writer puts it, "It's stories Clark might tell you if you were having a beer together." Landis' passion for the character alone means this could be something special, and an A-team roster of artists including Nick Dragotta, Jae Lee and Tommy Lee Edwards means that in a busy month for new releases, this is still a must buy. Kenny J: As a professional wrestling fan (or mark), I’ve been waiting for this for a long time, a comic about the inner workings of the wrestling industry. Of course, the behemoth that is World Wrestling Entertainment has tried to corner the world of comics, as it does with every other form of entertainment, but with little success. For a company that makes it money by writing over the top stories they have a hard time creating engaging stories that aren’t cramped by their corporate brand. Hopefully, that’s where Ringside comes along and shows the big guys how it’s done. From the previews it looks like Joe Keatinge’s book will focus on the trials of the larger than life characters outside of the squared circle where they often perform super human feats and Nick Barber’s kinetic art looks fit to burst out in these more actioned packed scenes.